Home / WWE / Did Paige Get Arrested? As noted, photos surfaced after WWE Money In the Bank in Las Vegas which appeared to show Paige being arrested. The rumors were that she was arrested after an argument with boyfriend Alberto Del Rio. We’ve been told that no charges were filed against Paige and she was obviously not admitted into a hospital as she worked RAW last night. We were also told that WWE is investigating the matter. 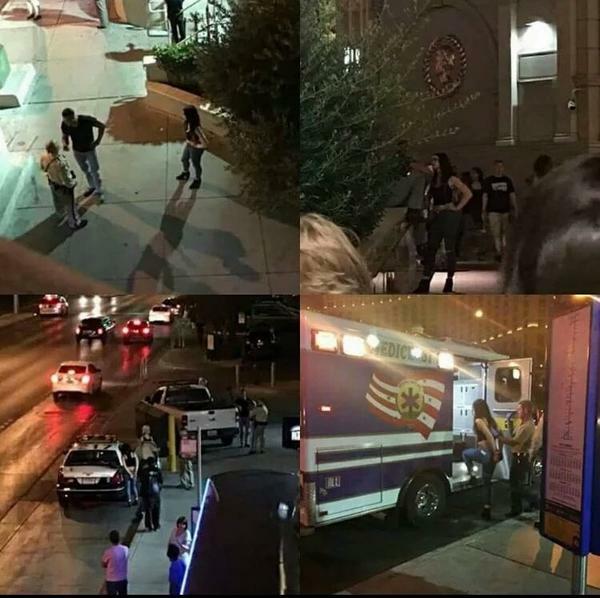 For those who missed it, below are the photos, which apparently show Paige being led into an ambulance. There’s been speculation that this was for Total Divas but that hasn’t been confirmed. All we know is that no charges were filed. Next Story → Is Kurt Angle Going to WWE?